I needed a new pair of shoes. While on my lunch break I happened to be reading an article at www.fastcompany.com and an ad for a pair of Tom’s caught my eye. I clicked the link, liked what I saw, but my lunch break just ended so I couldn’t buy just yet. The next day, instead of trying to remember the URL,I fired up my favorite search engine, types out “T-O-M-S-S-H-O-E-S” and the first result is Tom’s official website. I visited the site, made my purchase, and a couple days later I (and a child in need) get a new pair of shoes. My search engine usage is pretty common and yet it presents a special kind of problem for web analysis. 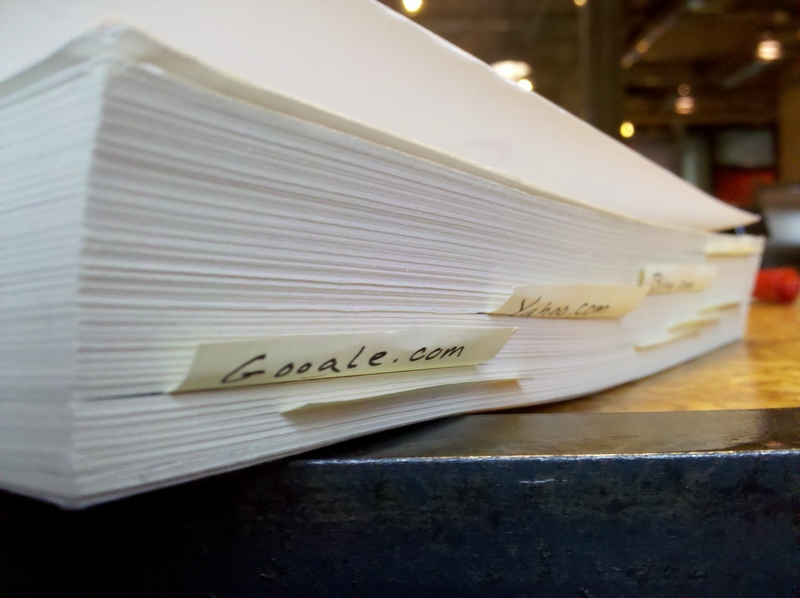 People are using search engines as a pseudo bookmark tool. We can break search engine traffic into two types: research and bookmark. Research is pretty straightforward; a visitor was looking for a solution to a problem: “I want a new pair of shoes from a company that cares about people.” They use keywords like, “shoe company that donates shoes” and they discover a new company. Search engines as bookmark traffic is much different. “I know the product/company I want, but I am not sure I remember how to get to their website.” These are two very different kinds of search intentions but unfortunately web analytics systems have no way to differentiate the two. Attribution is giving credit to the traffic source that a visitor used before making a purchase or some other event that we value. With all of the major web analytics solutions they have decided that the last source of traffic is the one that should get the credit. Using our previous example of Jason and Tom’s shoes, Google analytics attributes the purchase with the organic search result and no credit goes to the ad. Clearly Jason’s intent when visiting Google was to get to Toms.com. The ad that brought him to the website during his research phase doesn’t get any of the credit. If this kind of “search engines as bookmark” traffic is really just a different kind of direct traffic, then why not report it as such? This will prevent your those brand name keywords from getting credit for the sale and make sure your ads get the credit they deserve. Just before, “_gaq.push([‘_trackPageview’]);” you will want to add, “_gaq.push([‘_addIgnoredOrganic’, ‘keyword’]);”, for each brand name keyword you want treated as direct traffic. Now search engine traffic, where the visitor is using your brand names, will be treated as direct traffic by Google Analytics and will not overwrite any previous source information.